The goal of the RESPONSIBILITY project, a Coordination Action under the FP7 Science in Society programme which started in 2014, is to develop a virtual observatory for enhancing the interaction among research outcomes and policy making, making use of the full potential of scientific achievements to be incorporated in the policy development and implementation. Furthermore, it will articulate in plain language policy reports with specific outcomes and practical solutions. The project will implement a think-tank and consult researchers, industry experts, policy makers and citizens for economic, social and ethical issues surrounding technological solutions. The project will build an online database with reports, studies, interviews and research projects as reference materials. 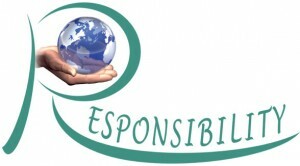 Visit the RESPONSIBILITY website (external link, last accessed 28 March 2014).